Google’s Android OS finally appears set to receive the long-awaited dark mode, with the upcoming Android Q. 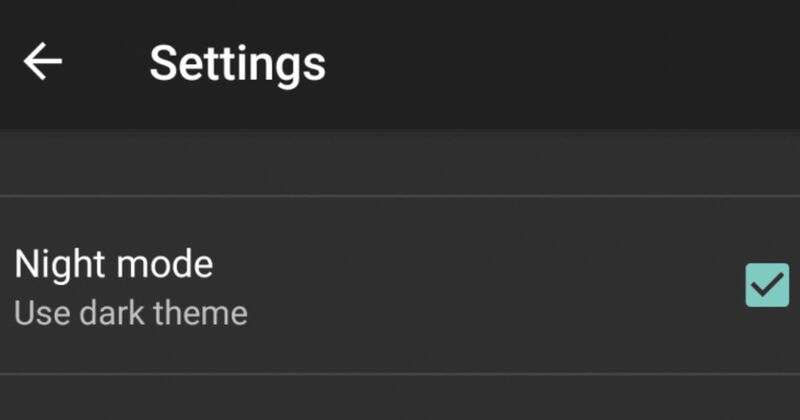 While Google has selectively rolled out dark modes to specific apps such as YouTube, Maps, Contacts, and Messages, the Android Q launcher now appears set to bring dark mode to the entire Android interface. Evidence of this has been spotted by Android Police in a post on the Chromium blog post, where an internal thread appears to have confirmed dark mode for being launched with Android Q. The post by a Google employee, which has since been made private to Google’s internal employees only, stated, “Dark mode is an approved Q feature. The Q team wants to ensure that all pre-loaded apps support dark mode natively. In order to ship dark mode successfully, we need all UI elements to be ideally themed dark by May 2019.” While it is a slightly peculiar thread to surface on in terms of scope of discussion, it pretty much confirms that dark mode for the entire Android UI will, indeed, be part of Android Q. There was much anticipation and deliberation over dark mode making it to Android P itself, but Google didn’t end up rolling it out with 2018’s Android version. However, it has introduced this mode in many Google services, thereby hinting at an eventually wider launch anyway. Dark mode brings with itself — you guessed it — a dark theme that adds less strain to the eye and improves battery consumption by making the display dimmer when peak brightness is not required. Android and iOS have both been focusing on adding modes that reduce eye strain due to prolonged hours of usage. On this note, modes such as adaptive brightness, reduced blue hues and dark modes such as this very one have been increasing in adoption among custom launchers and operating systems, globally.